The other day, I phoned Haruko Iwasaki to tell how I enjoyed the class reunion of our elementary school, at which she had not attended because of difficulty in walking due to Parkinson's disease. On that occasion, she said to me, "I'll give you a book written by the famous mathematician Shimura-san, because you're the only scientific person I know in Japan. Do you know the name Goro Shimura?" Haruko worked at universities of Princeton, Harvard and California on Japanese language and Japanese literature; and now lives in Kobe after becoming Professor Emeritus at the final work place. She got a copy of Shimura's book in California from a certain person who came from an overseas country. This happened because the latter heard that the former had been an acquaintance with Shimura at Princeton University. When I talked by phone with Haruko, I did not remember the name Goro Shimura and said, "No, I don't." After getting the book, however, I reminded myself of that his name had probably appeared in newspapers in the middle of 1990s in relation to the proof of Fermat's last theorem. I had a book, Fermat's Enigma: The Epic Quest to Solve the World's Greatest Mathematical Problem (Walker, 1997) written by Simon Singh but had not read it yet. Browsing some pages of Singh's book, I confirmed that my memory was right. 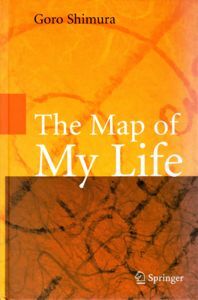 The book Haruko gave me is Shimura's autobiography entitled The Map of My Life (Springer, 2008). Shimura's English is readable, his observations are unique, and anecdotes of luminaries are also included. Mathematical-minded people should not expect to learn about algebraic geometry or such from this book, but he depicts a rough outline of his research as well as what is valuable in the investigation of mathematics and memories of Taniyama, who contributed together with Shimura to finding Taniyama-Shimura conjecture (now called modularity theorem; this had a crucial role in the proof of Fermat's last theorem accomplished by Andrew Wiles). Therefore, the people of the sort mentioned above would also be able to enjoy this book deeply. Goro Shimura was born in 1930. So, he is older than Haruko and I by five years only. Interestingly, however, she had the impression that he might be older than her by one generation, like Hideki Yukawa, possibly because of his elderly manner of speaking and impressive accomplishments achieved already at his young ages. Haruko told me that Shimura's look was like a noh mask. We can confirm this to be true in a sense by a full-page sized portrait of him on page 172 of Singh's book mentioned above. Haruko also told me that Shimura used to recite rōkyoku or something like that for his friends without attaching the melody and that he was interested in porcelain. In fact, he published the book "The Story of Imari: The Symbols and Mysteries of Antique Japanese Porcelain" in 2008. At the beginning of the book, Shimura writes about the daily life in Tokyo and things related to it in the 1930s, for the reason that those "things completely ordinary and known to almost everyone" of his generation "will never be written, and as a consequence, will be forgotten" (page 1). Reading them with nostalgic feeling, I thought that he also did an excellent job here. He gives an example of popular songs "that were not so objectionable": "La, la, la, red flowers carried on a wagon, / Spring has come from the village to the town, / ..." (a skilful translation from Japanese, perhaps made by himself; page 14). He does not write the title of this song, but I was able to figure it to be "Haru no uta ('The song of spring' sang by Mitsuko Tsukimura in 1937)," because it was one of my favorite songs. Shimura's finding of the practice of people in Kyoto is also fascinating: "I later learned that false compliments and even false invitations expecting declination were common in Kyoto" (page 30). (By the way, Haruko requested me to visit her someday in the near future, during our conversation by phone. She is not the person of Kyoto. So, I do not think it a false invitation.) He shows keen insight into the history of politics, writing a little about possible war responsibilities of Hirohito (page 37) and stating that there is no justification for the second atomic bomb on Nagasaki (page 57). However, I think it to be unfortunate that he seems to be an anti-Marxist by confusing the Marxism with the wrong dictatorship by the Communist party in the former USSR and North Korea (page 86). Shimura's scathing remark about the famous Japanese mathematician Teiji Takagi at the latter's old age might surprise Japanese readers, because the former quotes the words, "Kunshi is peaceful and not arrogant, whereas shojin is arrogant and not peaceful," from The Analects of Confucius to mean Takagi was shojin (page 117). He also criticizes G. H. Hardy's following words in A Mathematician's Apology as "rather pompous" (page 161): "No mathematician should ever allow himself to forget that mathematics, more than any other art or science is a young man's game." I do not think that these criticisms by Shimura themselves pompous but believe that they reflect his attitude not to be subservient to the authority as well as his solid determination to continue working on mathematics till old ages. With regard to an important mathematical work, Shimura's view, according to his description, is different from that of most, or at least many, mathematicians, who have the prejudice that "The more difficult, the better." He attaches importance to the significance of the result in the development of mathematics rather than to the difficulty of deriving or proving the result (page 137 and on some earlier pages). From the viewpoint of me as a physicist, this seems to be quite reasonable. I have to add the following bottom line: Most books I read in the afternoons this summer and early autumn made me sleepy, but Shimura's autobiography was a complete exception. I thank to Yoshihiro Matsumori for our conversation on the message page of Facebook, which became the motive of writing this blog post.